All new content, updated videos, improved job description templates, new Associate Hiring Guide…and more! Take the guesswork out of hiring and be confident that you’ll find the right person for the right position, every time! Jay Geier created a hiring process many years ago when he first started the Scheduling Institute and has since passed the hiring responsibility to S.I.’s Director of Hiring. Jay was watching a speed dating show and thought, wouldn’t it be nice if you could do interviews that quickly? Well the answer is, you can! The Ultimate Hiring Guide is simple and includes every step of our user-friendly process. This tool will allow you to avoid the cost of a bad hire and the many frustrations that come along with hiring. Many Doctors delayed the hiring before they owned this tool because they weren’t sure they needed a new team member, they couldn’t find the time, it was too stressful or they were afraid to hire the wrong person. Now they can use this tool to find the right person for the right position, every time! In order to grow your Practice to its greatest potential, you need to select areas of your business where you can REMOVE YOUR TIME and DELEGATE new roles to your team members. Which area do we recommend you remove your time from? HIRING. The best part about The Ultimate Hiring Guide? It is so user-friendly that you can pass it off to any one of your team members and have confidence that they’ll execute it properly, attract the best candidates and select the best of the best to join your team, in no time! Now you can be more productive! THE ULTIMATE TEAM BUILDING & CULTURE CREATING TOOL IS NOW AVAILABLE ON iPAD! 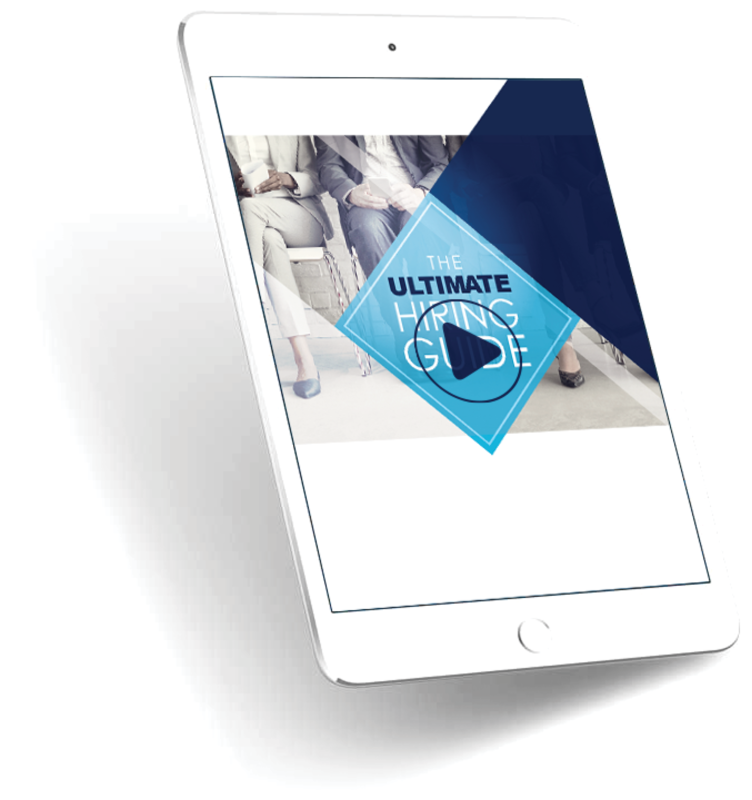 Upgrade your Ultimate Hiring Guide package so that the 12-step process can be used on-the-go! You will still receive the CDs, DVDs and workbooks so that this tool can remain on the shelves of your Practice Library. However, the iPad can be your portable training tool. 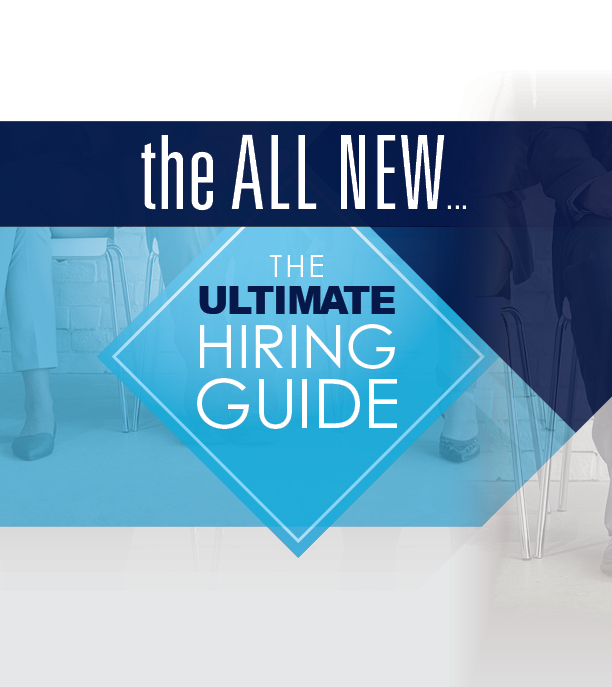 SO… WHAT’S NEW WITH THE ULTIMATE HIRING GUIDE? ALL NEW FAQ with Avid, S.I.’s Director of Hiring. We’ve taken the most recent and frequently asked questions and answered them for you! How S.I.’s Core Values Determine the Quality of our New Hires. Each of the 12 steps are broken down line-by-line and piece-by-piece so that you have a clear understanding of objectives for each step and how to implement it. You will be provided with clear instructions on how to conduct a group hiring day, specific interview questions to ask, sample advertisements to attract the best candidates and other helpful content to make this a smooth and successful process. You can even watch a sample of S.I.’s most recent Group Hiring Day! We use this process to hire all of our employees too! Believe it or not, the job descriptions that you place in ads can determine the type of candidate you attract. You need to be specific and set expectations early on! Based on feedback from business owners who have invested in The Ultimate Hiring Guide… one of their favorite features of this tool is the Job Description Supplement Book! It’s full of customizable templates for all of the following positions: Office Manager, Front Desk, Patient Coordinator, Personal Assistant, Treatment Coordinator, Marketing Coordinator, Dental Assistant, Dental Hygienist, Ophthalmologist Assistant, Podiatric Assistant, Cosmetic Surgeon Assistant, Orthodontic Assistant, General Massage Therapist, Chiropractic Assistant and Chiropractic Massage Therapist. Having a system in place gets rid of the fear. I can now take this off my plate because I really don’t have the time, and I have a system that I can just pass off to one of my staff members that I know will work! We have a large chiropractic group practice in Nashville with 4 doctors and 15 team members. I’ve just hired 4 new employees in the last month using Jay’s hiring system. When I try to skip steps, and do it differently, even when I think I’ve done my due diligence, it does not work out. I make every hiring prospect, including people I know, go through the system. The steps are in place for a reason. The hiring system definitely works and is the only way I will bring people into my Practice going forward. Thank you for mapping out the step by step process that can be repeated time and time again with success. It definitely takes the stress out of hiring people and allows me to find more than enough qualified people any time I want to. Thanks Jay. One of the great things about the Scheduling Institute is they offer you all these systems and one of them is the Hiring System. We’ve been taught a way from the Scheduling Institute how to find better people. And that’s been hugely invaluable to us. Have seen some remarkable progress. We went from 20 New Patients a month to 100 New Patients a month, and our revenue has gone from 1.8 million to over 4 million this year. Our staff has grown to 18 members and after attended the Best Marketing Seminar Ever Event that emphasized the need for a marketing director – we will hire one next week. We have great candidates and we have used Jay’s approach to hiring with his Group Hiring Process. We have implemented just about everything Jay has recommended in our office’s and it has worked really well. My team just done with their first time using your Hiring Guide…and I wasn’t directly involved!! They actually got compliments from the interviewees on the way (your way) the interviews were done – that is awesome I think. Much thanks to you! !